Blogs are a type of documentation such as a website created or maintained by any individual or others. Blogs can be created to cover any subject and are generally updated regularly with new entries. News is related to current happenings in and around a local or international location. This is a kind of press release. Blogs can be of any type or about any subject and are so popular these days that you can find blogs about any topic. Blogs were first started as personal journals but with increasing popularity transformed it into a powerful tool for online marketing and news type sharing. In the news, the latest affairs about anything happened any corner of the world is now available due to the revolution of technology. The technology of blogs is so simple that anyone can create a blog without much knowledge about it. This is what makes it so popular. There are many providers who help to make a blog in just a minute. Any person can log in into such site and then submit any write-up in any subject into this. Every blog has its own RSS feed which help to find it easily on web. 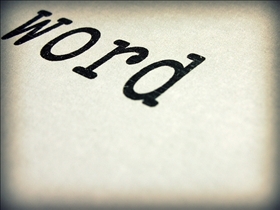 Blogs can deal with more elaborate explanations on subjects. You can use blogs for publishing news; also can write articles on a specific subject. News sites help to get readers get updated with the latest happenings. Frequent updates are to be done on news sites to make it current. In blogs one expresses his view or opinion on any subject. News is genuine piece of information shared for all. There are provisions for posting comments on the blog. One can agree or disagree with the blogger's view. There is no need for frequent updates on any topic on a blog. Blogs can be categorized into different groups like political, medical, health, financial, educational, scientific etc., according to the topic it deals with. Blogs dedicated to one topic deals with that single topic only. We cannot categorize a news site because it deals with every section of news. That is not restricted to any single topic. In the current technology centric world, the Internet has carved an important role for presenting ideas and news to Internet users. People who have computers depend on the Internet for information about everything. In such a scenario blogs make a mark for themselves. The simplicity, user friendliness and versatility in subjects increased the popularity of blogs. This increased popularity is made use in online marketing. In the case of news, it has transformed into online news and news feeds. Each of these has its own importance. For a latest happening or event or any piece of information news is the one choice. Blogs are websites which interact on a specific topic maintained by individuals. They provide a simple way for any non-techie to post content or express view to the web. Blogs can be used to get information and tips. Blogs can be used to endorse products or services. 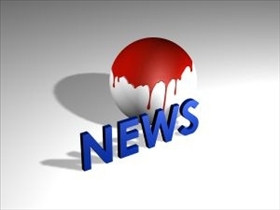 News site are used to gather information on current happenings. Using blogs one can share personal things with readers but in case of news site it is not possible. Which do you read more often? I was looking for this answer. Thanks for the information. Now I can create a news section and a blog together in my new site, with much confidence.